St. Clement Hofbauer, Redemptorist: the man who never gave up! 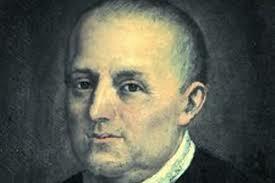 St. Clement Hofbauer, Redemptorist, died on March 15th, 1820, in Vienna. He is known to us as the Second Founder of the Redemptorists, as he brought this fledgling Congregation of priests and brothers, under the title of the Congregation of the Most Holy Redeemer, over the Alps, and into Northern Europe. He is a hero for Redemptorists. ‘Never give up! Never ever give up!’ was a motto of Winston Churchill. Clement met obstacles everywhere along the road. He became a Redemptorist Priest at age 34, and ministered as one for another 34 years, mostly in Poland, but also for his last twelve years, almost under house-arrest, in Vienna. Born 1852,- about three years before Mozart – he was from a poor family. His father died when John, as he was then known, was only seven. His mother pointed to the crucifix, after his Dad’s death, and said : ‘From now on, HE is your Father.’ Clement never forgot. He was an apprentice baker around age 16, in a nearby Monastery. Here, in his spare hours outside the kitchen, he was taught Latin by the monks. He went to work in Vienna, as a baker, and then went to University there, helped financially by a few senior ladies whom he helped on one occasion. Young Mozart lived a few streets away. With a friend he walked to Rome from Vienna. He did so more than once. He became a hermit near Rome, and took the name ‘Clement’ at that time. Age 34, he applied to the new order of the Redemptorists, was accepted, did some training and was ordained. He and his friend, Thaddaeus (Thady in Ireland) were sent back north, to see if they could set up the Redemptorists there. No room in Vienna. They went to Warsaw, in 1887, took over a small disused church called St. Benno’s, and there began to minister. Masses were said, sermons given, in Polish, German, French and Russian,- such was the mix of peoples in Warsaw then. Soon after, the French Revolution took place, and in the decades following, Europe was engulfed in wars. Within a short time, up to 30 young men had joined Clement in his ministry in St. Benno’s. With all the orphans of war then in Warsaw, Clement set up schools and training centres for boys and for girls. Clement wanted to set up communities elsewhere. He walked with companions all the way to Switzerland, to Bavaria, even to the edges of France. He set up communities. They soon dissolved, usually from local opposition of Freemasons. No matter what he tried, it ended in failure. Then Napoleon’s army came to Warsaw in 1806. The Redemptorist community, priests and brothers, were all arrested, and locked up in a castle for some weeks, then ordered to disband and go back to their own home places. Clement and one companion left and went to Vienna. Here, the secret police watched him constantly, listened to his sermons. Eventually, he was silenced. He was allowed to be chaplain to the Ursuline Nuns in John’s Street (Johannes Gasse, where McDonalds can be found!). His house became his ‘chapel’, here people of all walks of life came to talk to him, many of the University students, also artists and writers. But still, the Emperor would not allow him to set up the Redemptorists. Clement died on March 15th, 1820. The city turned out in great numbers for the funeral of this humble priest. The Emperor came to realise that his own advisers had poisoned his ears about Fr. Clement, the Redemptorist. Two weeks after Clement’s death, the Emperor gave permission for a disused church to be given over to this new congregation, and gave permission for them to begin training students to be Redemptorists. One of those students, who carried Fr. Clement’s coffin, was a Frederic deHeld. He preached the first Redemptorist mission in Ireland in 1851, in Limerick. Shortly after that, the first Redemptorist community in Ireland was set up on Bank St. in Limerick. The rest is history. ‘Never give up! Never ever give up!’ – that was Clement Hofbauer’s motto as well. Only after his death did his dream come true. ← Death of Brother John Augustine (‘Senan’) Forrie, C.Ss.R.